The lender’s pile of hard-to-value assets grew by 3 bln euros last year, despite the European Central Bank’s plan to scrutinise them more closely. The increase jars with boss Christian Sewing’s vision of a simpler bank – and does little to ease Deutsche’s elevated funding costs. Christian Sewing, CEO of Deutsche Bank AG, addresses the media during the bank's annual news conference in Frankfurt, Germany, February 1, 2019. Deutsche Bank is paying some of the highest interest rates among large banks to raise debt this year, according to an article by IFR on Feb. 9. Germany’s biggest bank by assets recently issued a 1.5 billion euro two-year bond at 180 basis points over mid-swaps. That’s the joint widest spread on any senior bond in any tenor sold in the year to date apart from Spain’s Caixabank. A Bloomberg article on Feb. 11 said Deutsche Bank was having to pay almost twice what other European lenders paid in recent months to issue US dollar bonds. 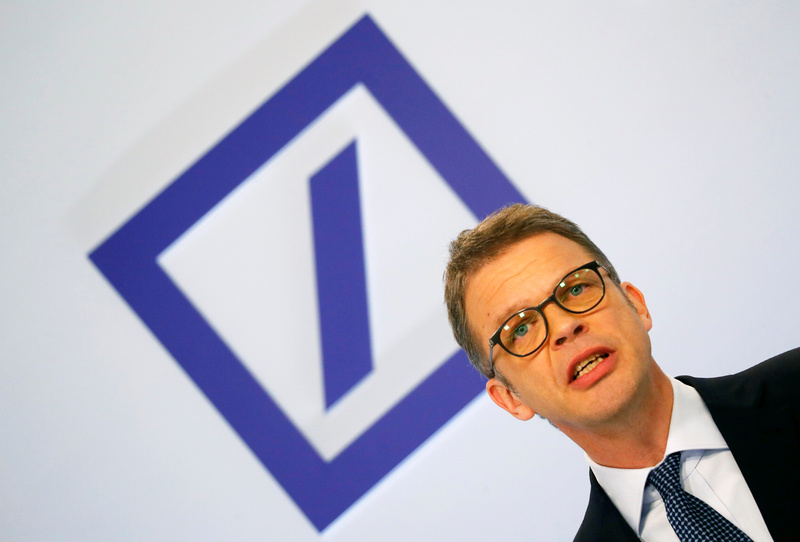 On Feb. 1 Deutsche Bank reported a 2018 net annual profit of 341 million euros. That was its first full-year net profit since 2014 and compared with a 735 million euro loss in 2017. Deutsche Bank shares were down by 0.5 percent at 8.20 euros by 1020 GMT on March 1.